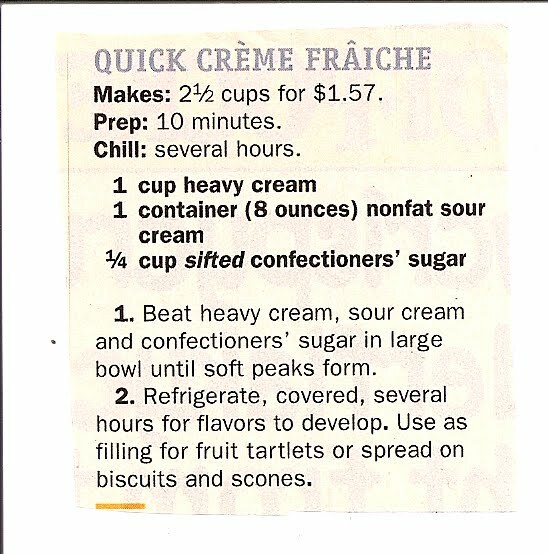 Like whipped cream but less sweet, Creme Fraiche is used to top off desserts and baked goods. It comes up a lot on Top Chef. 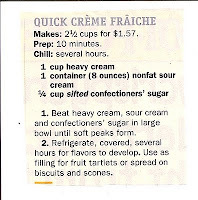 -Beat ingredients together until soft peaks form in mixture. -Refrigerate covered for several hours. -Top your dessert, and enjoy!